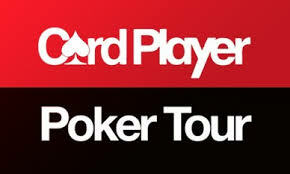 It is good news for the residents of Los Angeles this week as Card Player tour makes its way back to the vibrant city. Ideally, on the 21st of September, that is Monday next week, the Card Player Tour is expected to make back to back stops at the Hollywood Park Casino and the Bicycle Casino. Among the many trending Poker News of the weekend, this one seems to have caught the eye of many gamblers and especially those ones who love soccer. It is important to mention that one year has passed since this Card Player Poker Tour last awarded more than 2.3 million US dollars to poker players all over Los Angeles and this time round it is coming back big and sweet. For this year, the full action begins on the 21st of September whereby the first tournament of the year 2015 will, commonly known as CPPT Los Angeles swing will be getting underway. The main event will be hosted at the Bicycle Casino on this coming Monday. After commencement on the 21st of September 2015, it is expected that action will still go on until the 25th of October when the whole tour will wrap up at the Hollywood Park Casino. It is expected that this one month will be full of fun and glamour especially for those who love poker, gambling, online gambling and any other sort of gaming that incorporates monies in the winning form. Therefore, it is great Poker News for this category of people at a time like now. In the previous time that the tour was hosted in Los Angeles, more than $750000 was awarded in the main event alone. Since the poker card player tour always craves to come up with something special for every other occasion, it is expected that there will be an awesome experience in the event this September 2015. So, for all poker lovers in the United States willing to experience a month long tour with limitless poker experiences, this is the best option for such people. It is however vital to clarify the main events that will come up during the poker card player tour swing in Los Angeles in the coming days. The bicycle series will comprise of 19 tournaments that will include a six-day $235 non limited hold’em $200000 guarantee coupled with a seven day $235 no limit hold’em $300000 guarantee. The schedule for the bicycle series also features no limit hold’em deepstack and a range of bounty tournaments and non-hold’em events that will include Omaha eight or better and H.O.R.S.E. Notably, the marquee event of the poker card player poker tour is Los Angeles is the $1100 no-limit hold’em $500000 estimated guarantee main event that will use the Bike’s own Quantum Reload Concept. In this regard, all the players will have the option to buy in directly to $1100 on any of the three starting days but those who might want to skip day 1 can also buy directly into day 2 for $4300. Moreover, the players that opt to choose the latter option will start with 60 big blinds at 1000 to 2000. It is important to note that there will be no late entry on day 2 but anyway, the players who are eliminated on day 1 can also re-enter the following day to try their luck in the game of chance. Again, each of the main event’s three days will be beginning at 12pm. Notably, the final day will start at 2pm and then the final table will be streamed live at the Bike. Hosting its second of such an event, the Hollywood Park Casino is expected to be a beehive of activity from next week on wards. Those who love the casino and the experience it offers, this is the type of Poker News that cannot just be taken lightly.